TWICE is gearing up for their comeback! Just recently, JYP Entertainment confirmed that TWICE is making their comeback in November. 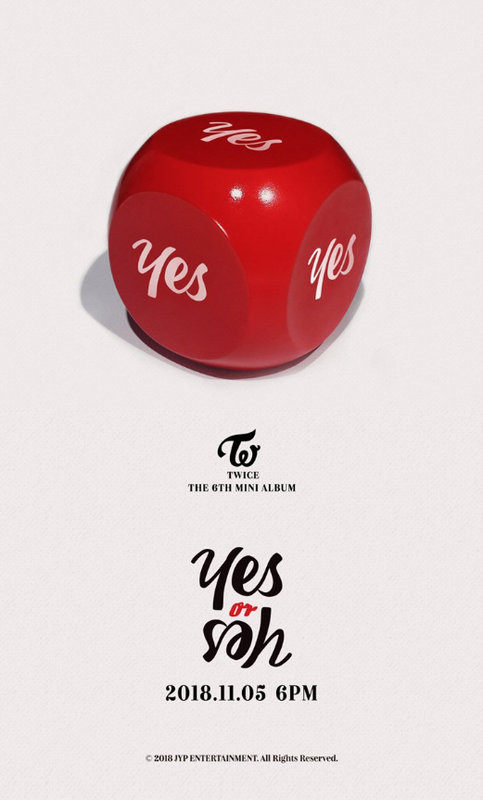 With several weeks away from their return, TWICE rolled out the first set of teaser images for the 6th mini album 'Yes or Yes'. The teaser photos show a card, dice, and chips. 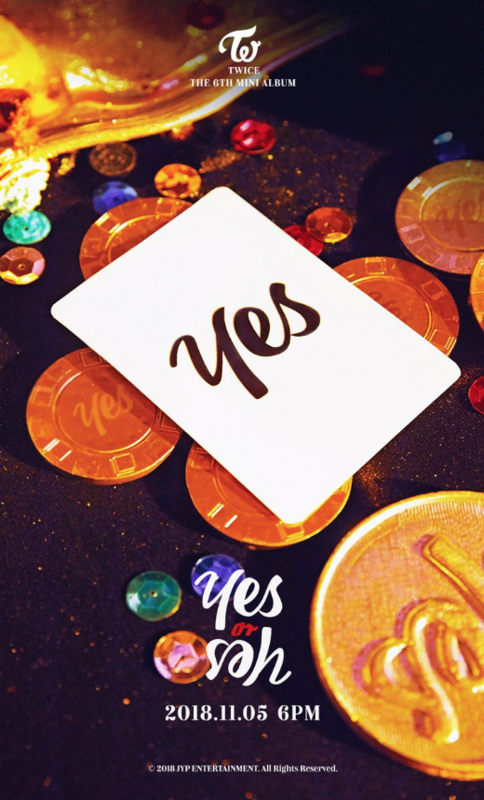 Based on the teaser, it's assumed TWICE is going for a casino concept for their new album. 'Yes or Yes' will be out on November 5. Stay tuned for more on TWICE! Look! Up in the sky! It's a bird! It's a plane! It's.. it's... JYPE stocks taking off again!